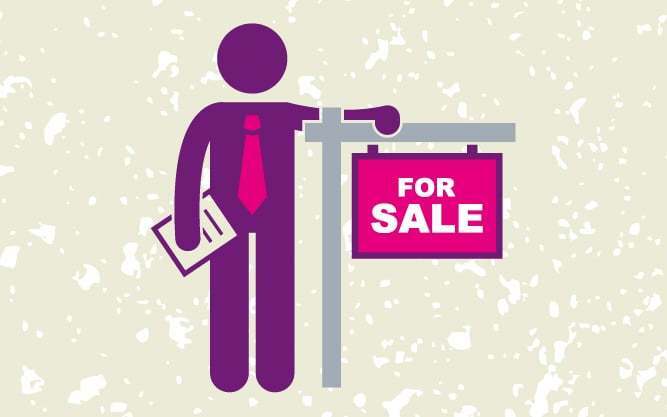 What is an estate agent good for? 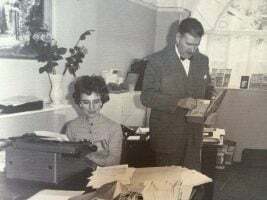 My grandfather would sit in his estate agency office during the 1960’s and 1970’s almost single-handedly overseeing the local property landscape in so far as deals and prices. He was the Don Corleone of local housing market dynamics. The ultimate local knowledge. His Godfather like status came about because he really did have the power. The authority that knew every transaction, how long a home had been marketed for, whether it had achieved its asking price and indeed he’d probably meet the building society surveyor in the pub to discuss and help agree the town’s mortgage valuations each week. Knowledge is power. The internet is the great leveller. Todays font of all knowledge. The record of truth that is an ever increasing flow of fact and stat that simply cannot be matched by a guy with a Rolodex and a creaking filing cabinet. Buyers decide where they want (or need) to buy without recourse to a stranger in the high street that happens to know where all the doctors’ surgeries are. They check online for schools data, crime statistics and local amenities. And of course, they scrutinise nearby house prices. All of this information is available via a myriad of resources such as HM Land Registry; Rightmove; Zoopla; Property Detective and so on. Buyers know the market and will often spend weeks or months investigating and checking what’s new, what’s reduced in price, and will know full well what is languishing on the market because the portals tell them so. From this close contact with the day to day, buyers form an opinion on value and offer a price accordingly when they are ready to move. Buyers are the local market. Not the agent, who is a mere reflection of the market. Sellers, no matter what they want or hope to achieve, will sell for what the market dictates and no more. An agent cannot wave his/her wand and flout the transparency of that which is plain to see evidentially. If the power of such information has now been democratised, then what is an estate agent for? What is the point of an estate agent? Well, apart from the fact that sellers are not able to list their homes on Rightmove and Zoopla directly and are therefore compelled to go via an agent, they have now become just a mere conduit between seller and buyer. A concierge of communication, comfort and, often, problem solving. The agent is now a facilitator rather than an authority. This means that the profession has to be really, really good at this aspect. Returning calls, email responses, follow ups and overall good communications are essential to justify their place in the new order of things. And if these fundamentals are ignored and misunderstood, as they often are, then the perception of agents as far as the public are concerned will not improve. Ratings on the likes of AllAgents and TrustPilot will not improve either. Estate agents need to be customer service centric. In just the same way that Amazon don’t show you the goods prior to dispatch (nor Ocado, eBay etc), the crux these days is in the ease of interaction, promises fulfilled and a humble and decent approach. A clear, honest proposition that is well executed and reliable. My grandfather would not understand this, but the world has moved on since his day. For most of us, anyhow.